Three years of inactivity in many professional fields is a really long time, even more so in sports. It’s eternity. A retirement. In a way he was “retiring” and was waiting for the media people to tell him to come out of “retirement”. 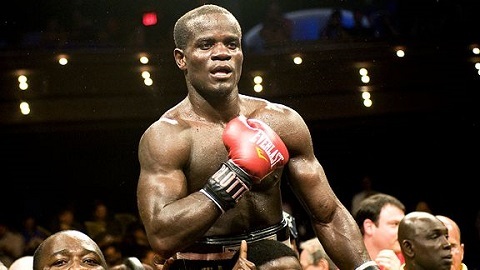 Clottey however refuses to accept it as genuine, as he claims, the Alvarez camp may have heard about how hard he was working the punch bags after he had been visited by HBO during one of his training sessions and felt his style would be a problem for Alvarez. In his own words, they “chickened out”. He was gutted because he felt that was his chance to redeem himself after the flak he had taken after that high profile fight with Paquiao back on 13th March, 2010. Clottey also had a few words for current IBF lightweight champion, Richard Commey. He feels, it may be too soon for Commey to take on Lomachenko as Ukrainian is “too crafty”. Source: Akwasi Afriyie (Rosky), GN RADIO, UK.